In the dog eat dog world of retail you could use a loyal friend. At OnGuard, we understand that it's dog fight for profits everyday. OnGuard offers over 100 models built with high quality materials, proven state-of-the-art technology, eye-catching, informative displays and packaging all delivered with the longest margins at retail in the business. Why chase your tail for profits? Stock OnGuard and make more with every sale. OnGuard locks are constructed of high quality components and feature proven state-of-the-art lock technology. Plus OnGuard's user-friendly features like 5 keys with lighted key, protective coverings, key way covers and included mounting hardware make selling OnGuard a slam dunk. Exclusive X4P Quattro Bolt secures the shackle to crossbar in four places for maximum security. X2P Dual Lock Down and X2P Double Bolt mechanisms secure both sides of the shackle to resist all forms of pulling, prying or twisting. Z-Cylinder European style locking mechanisms are highly pick resistant and feature Bump-Block rendering bump-keys useless. 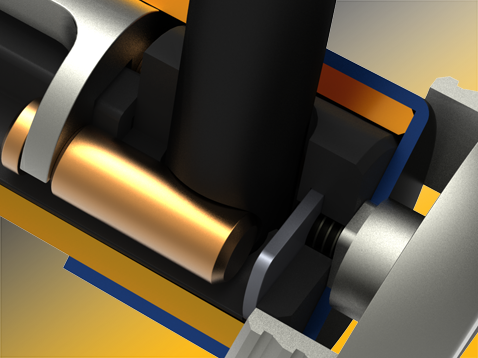 Locking mechanisms encased in Ultra-Steel to resist drilling and pulling. Combo locks feature a solid Steel Ball gear system that is pick and pull resistant. Lock bodies and shackles are treated with a proprietary surface hardening process making them virtually impervious to attack. Chains feature titanium hardening and hexagonal or square links for extreme cut resistance. From the ultra security of the Brute Series U-Locks to light weight cable combo locks OnGuard has you covered. OnGuard displays and packaging make it easy for customers to find the right lock for their needs. And with over 100 models to choose from it's easy to select a product mix that's exactly right for your customer base. Attractive displays and packaging with easy-to-understand usage and security level positioning for self-serve sales. Quality and value at every price point. 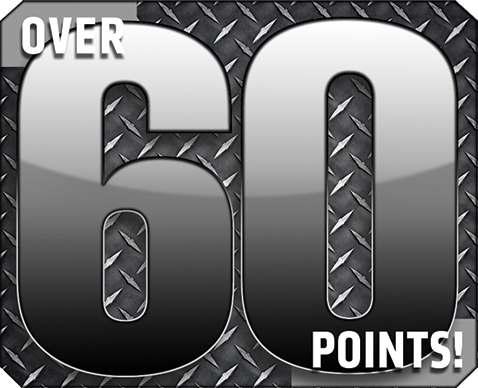 With an average margin over 60 points at retail OnGuard is more profitable than any other lock brand. Period. And that's not an inflated claim based on one-time-only sales, that's the everyday price! When it comes to security, selection and margin OnGuard always gives you more. But that's not all. OnGuard continues to innovate and deliver even greater value than the competition making OnGuard your best choice in security. Distinctive, high visibility colors send a clear message to thieves: find something easier to steal. 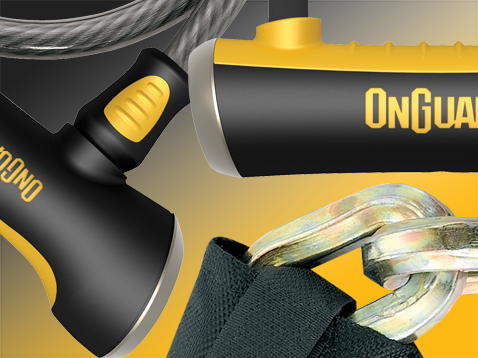 Lifetime warranty on all OnGuard products. Anti-theft plans on select U-Locks. Attractive, informative displays and packaging for easy self-serve. Extra touches like lighted key, 5 keys, re-settable combos, rubber coverings, embroidered coverings, transport brackets etc. for extra value. Todson sales and support are the best in the business. From sell in to delivery to customer service and warranty Todson always has your back.